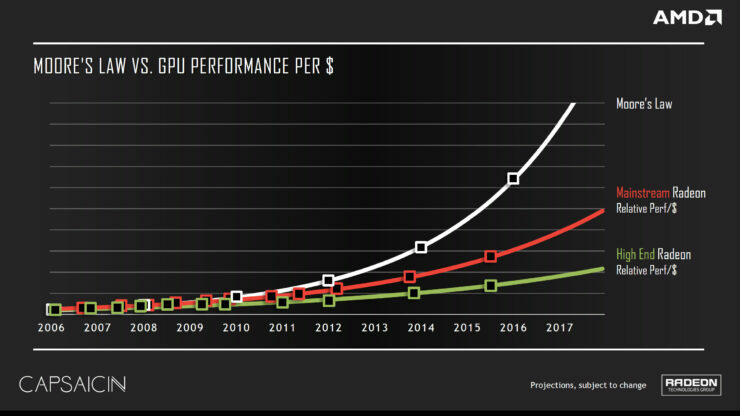 AMD’s Polaris graphics architecture has certainly been a head turner and had caught many people’s attention ever since its announcement earlier this year. Besides commanding the most significant performance per watt advancement we’ve seen yet from the company, AMD’s Polaris 10 and Polaris 11 graphics chips are also poised to make the exciting world of VR and high resolution gaming far more accessible to the average content consumer and gamer than it is today. 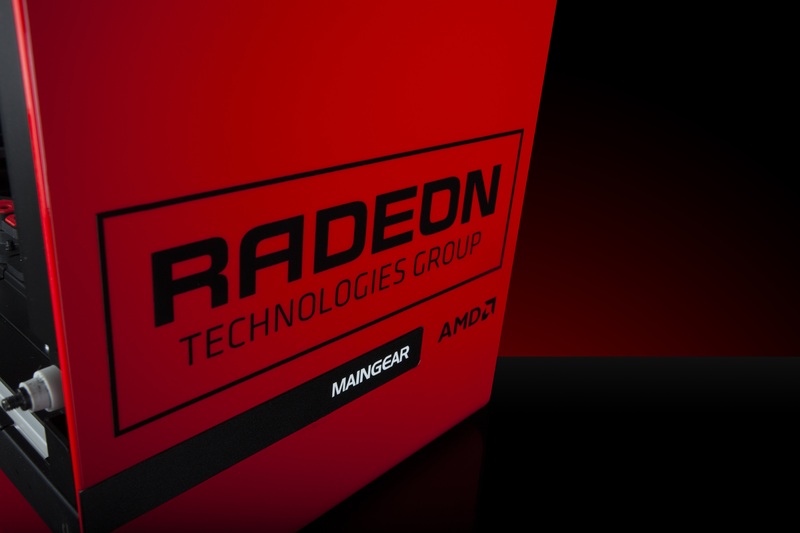 AMD’s head of the Radeon Technologies Group – the company’s in-house graphics division – and ex-Apple graphics Guru, Raja Koduri displayed no shyness or reservations in showing off his team’s latest creation, repeatedly over the past several months. He took the opportunity at more than one major industry press event to demonstrate the architecture’s impressive performance per watt and DirectX 12 capability.. 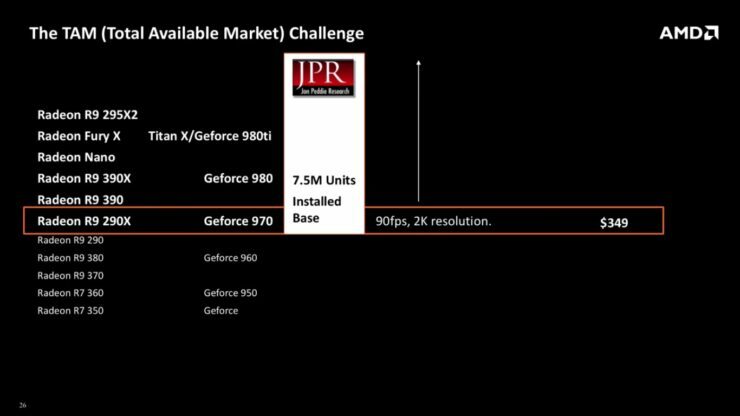 In the company’s most recent Capsaicin press event at GDC 2016, Koduri revealed the RTG’s newly adopted strategy of the desire to cater to a broader set of customers. 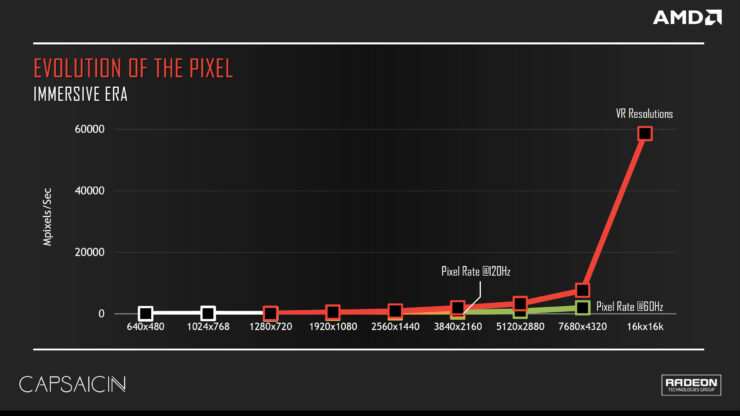 This is a clear shift from last year’s focus on the very high-end of the spectrum that we’ve seen with the company’s Fiji GPU – the world’s first HBM graphics chip – and the brand’s new premium Radeon R9 Fury lineup based on Fiji. This shift hearkens back to the company’s highly successful strategy to build smaller, more affordable, more power efficient graphics chips that offer considerably more bang for consumers’ bucks. 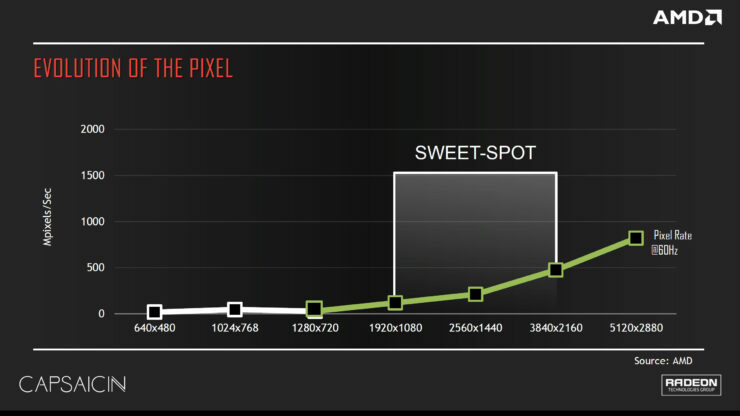 A strategy that allowed the company to claw a significant chunk of market share from its rival Nvidia. Beginning in mid 2008 and eventually overtaking its rival’s position as the lead discrete graphics chip maker in 2010. A feat that was accomplished thanks to major market share gains in notebooks where the strategy paid most dividends. 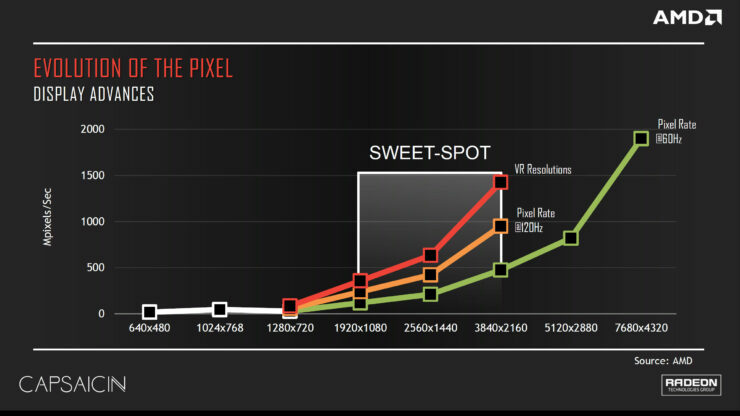 This strategy has showed success for the company outside the typical add-in-board channel where most GPU units are shipped. It allowed Radeons to be more competitive with GeForce products among OEM system builders as well. From what we’ve been hearing Polaris is no exception. In fact our sources have confirmed that the major OEM design win that we had reported on last year is indeed for Apple. The Polaris 10 and 11 chips will go into new desktops and notebooks from Apple, which the company plans to bring to market later this year. And although these Apple design wins may not be significant volume contributors they are very serious money makers. AMD announced earlier this year that its next generation Polaris graphics cards are set to launch in mid 2016, just a few months from now. Later, CEO Lisa Su confirmed that products will be available on shelves ahead of the back to school season.